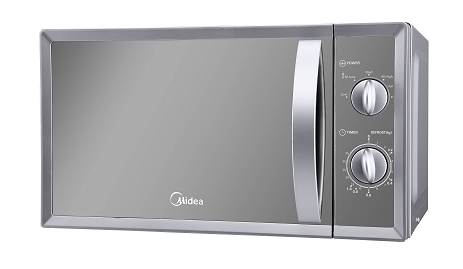 The world class brand Midea launched its kitchen appliances and they are out of the ordinary. Last Wednesday, Midea introduced to the market their microwave ovens, induction cookers, digital multi-cookers and electric kettles that boast of energy efficiency, solid performance and compact designs, and most of all, they are affordable and worth their price. According to studies about microwave ovens, the use of microwave ovens in the Philippines is very low. The reason is because of the common misconception that a microwave oven uses up a lot of electricity. Extraordinarily, the Midea Microwave Oven uses power efficiently that you only spend P1 in electricity per three-minute cooking time. It also promises a better retention of nutrients because of the short cooking time. Digital rice cookers have developed through the years into multi-cookers where users can cook a number of dishes in. Midea’s Digital Multi-Cookers are equipped with Thermal Circulation Technology, which ensures even heating in the cooking pot for perfectly cooked rice. In case you add too much water, its smart fuzzy logic control automatically adjusts the temperature and cooking time of rice. The honeycomb texture of the pot also allows it to retain heat efficiently, ensuring your rice is cooked evenly and thoroughly - no more "tutong". These digital multi-cookers come with a number of presets that take the guesswork out of cooking. Just press a button, and you get perfectly cooked dishes in a matter of minutes. Aside from cooking rice, you can also use it to cook congee and stews, steam seafood, rice cakes and vegetables, make soup, and boil eggs. Midea’s Multi-Cookers come in two models. One model can even double as a pressure cooker. With it, you can cook the toughest cuts of meat until they are tender in a short time. 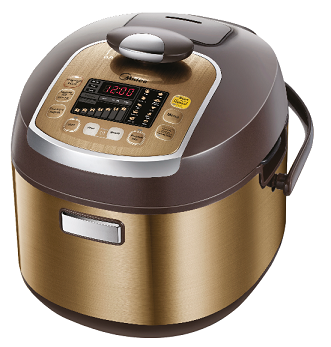 Midea’s Multi-Cooker/Pressure Cooker have a 10-Dimensional Protection System and self-locking lid with auto/manual release function that ensure safety during cooking. Midea’s Induction Cooker is a space-saving alternative to a gas range. Its slim design and sturdy construction make it a fitting addition to any kitchen. 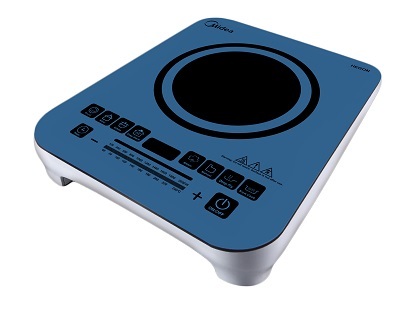 An induction cooker is more economical than gas range, and uses 37% less power than an electric stove. It cooks 40 percent quicker than an electric stove due to dual-coil technology that makes it heat up faster. It is safe to use around children because of its flameless heating and an auto shut-off feature. 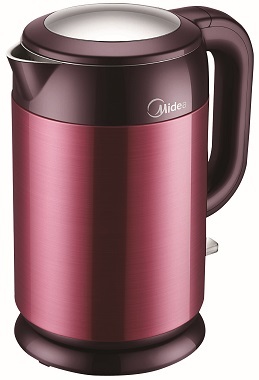 Midea’s Electric Kettle is one of the safest kettles in the market. It has a number of built-in features that make boiling water not only economical, but also safe. In just three minutes, Midea’s Electric Kettle can boil water. It also has lower power consumption than other electric kettles. What makes the Midea Electric Kettle stand out among others is its double wall technology that prevents its exterior from heating (it's safe touch even after boiling), as well as keeping boiled water warm for a longer time. With its patented UK Strix control that ensures against dry boiling and protection from overheating, you and your family are safe from electric shocks, injuries or fire. It also has integrated cord storage for safety and convenience. When not in use, you can easily wind the cord under the kettle to keep it away from accidents. True to their commitment of enriching the different lifestyles of people, Midea lets you experience the same quality of innovative appliances but at a reasonable price. Indeed, #livedifferentchoosedifferent. Midea is one of the world's largest producers of consumer appliances. Established in 1968, Midea has consistently strived to make the lives of its consumers easier with their line of innovative products. On 2014, Midea Global partnered with Concepcion Industrial Corporation to bring the brand closer to Filipinos. 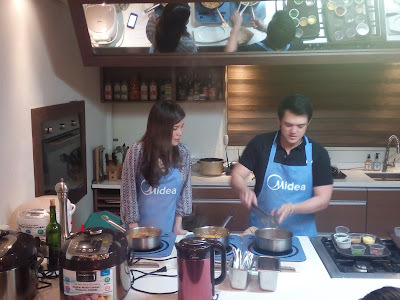 For more information on Midea, you can call +632-850-9888 or midea.com.ph.